Lost a Tooth? Why should You Consider a Dental Implant in Leeds? If you have lost a tooth then you’ll probably want to replace it in the best way you can, but for many people cost will be a factor. Bearing this in mind you may have looked at having a dental implant in Leeds and disregarded the idea due to the length of time required to complete treatment, and the total cost. It’s true that dental implants are slightly more expensive than the alternative methods of replacing lost teeth, but they’re much better and if you’re interested in taking a long-term view of your oral health then they are worthy of investigation. Although they may cost a little more upfront, dental implants can last for years and years, so in the longer term you could end up paying less and will know you have chosen the best option for your dental health. There are lots of different reasons as to why it’s worth considering a dental implant in Leeds, and top of that list is the effect a dental implant has on the your jawbone. We know we’ve mentioned it before, but dental implants are the best way of making sure you don’t lose too much jawbone. 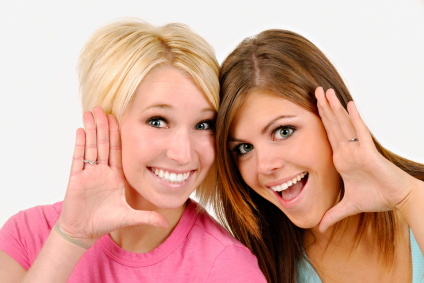 Your natural teeth have quite long roots that extend into your jawbone. One reason for this is that they help to hold the tooth firmly in place, as they also have ligaments that are attached to the tooth socket. Another reason is that they help to transmit chewing and biting forces to the bone surrounding the root, ensuring it keeps renewing old bone cells so it remains healthy and strong. When you have a natural tooth extracted then your dentist in Leeds will also extract the tooth roots, removing this stimulation. Other methods of tooth replacements such as bridges or partial dentures don’t do anything to replace the tooth roots, but in contrast the post of a dental implant is inserted quite a way into the jawbone, replicating a natural tooth root and providing the stimulation needed to keep your jawbone healthy and strong. Alternative methods for replacing lost teeth won’t feel quite as good as dental implants, as these will look and function exactly the same way as a natural tooth, and can be flossed and brushed as normal. If you are sensitive about the way your teeth look then dental implants will help restore your self-confidence. Leeds City Dentalcare has treated many patients and Dr David Brown and all the dentists here have seen first-hand the results that can be achieved through having a well-placed dental implant. The success rate of dental implants is extremely high, and is typically at least 95%, although this does depend on you looking after your implant once the surgery is completed. A well looked after implant could last for 20 years or even your lifetime, so you can see it is extremely economical in the long term. If you are considering dental implants then it’s best to have them placed sooner rather than later as your jawbone will begin to reabsorb soon after your natural teeth are extracted. Although it can be replaced through having a dental bone graft, it’s obviously better to try to avoid any additional procedures. Early treatment means you can begin benefiting from having dental implants in Leeds as soon as possible. This entry was posted in Dental Implants on 12th June 2014 by Dr. David S Brown. Got a question about dental implants in Leeds? Ask us! The short answer to this is only positive ones! If you have been trying to decide whether or not to bother to fill the gap left by missing teeth, or are looking at which option is preferable, then dental implants are quite possibly your best option. Whatever you decide to do, it’s important to replace lost teeth even if it seems as if they’re right back at the mouth and you’re pretty sure you can do without them. The reason for this is that replacement teeth will prevent your existing teeth from moving out of position, as this can create numerous problems with your bite, and can lead to unsightly spaces developing between your remaining teeth. Your choices for replacing missing teeth are like to include a partial denture, a bridge, or dental implants. Dental implants might seem like the most expensive option, and it’s true they can take several months to complete, but they’re still the best and most natural way of replacing missing teeth. The main reason for choosing dental implants over other options is that it will help preserve your jawbone. If you have a tooth removed then the bone will soon start to reabsorb as it no longer receives any sort of stimulation from the tooth root. Another problem is that tooth removal can affect the gum tissue. If you look at your natural teeth you’ll see there are small triangular pieces of gum tissue that fit snugly in between each tooth, and these are called papilla. When a tooth is removed these begin to flatten down as there’s no longer any support for them. 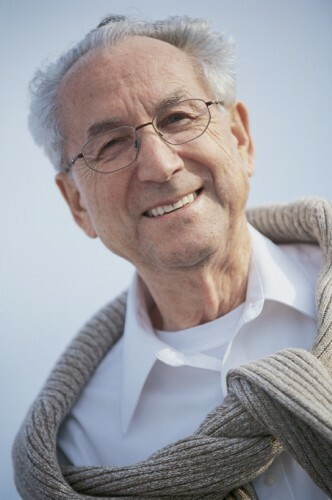 Having a dental implant will allow an implant crown to be placed that will help support the papilla, as a well-placed implant will gently shape the gum tissue so that it grows naturally around the implant crown, helping to eliminate the risk of any unsightly gaps or black triangles developing in between your teeth due to this missing tissue. This is quite a skilful task on the part of your implant dentist, as it does rely on the implant crown being properly shaped to provide the correct amount of pressure. However the results can be beautiful. If you choose to have a bridge or denture then none of this will happen and these sections of tissue will be lost. This has the potential to create problems with your remaining teeth, as there is the possibility that the gum tissue may recede around your adjacent teeth. Another problem with these remaining options is that they will impact your existing teeth, and not in a good way. A dental bridge is supported by one or two crowns on the adjacent teeth and these are attached to the replacement tooth or teeth to bridge the gap. For dental implants in Leeds, Dr David Brown or another dentist at Leeds City Dentalcare will have to grind down these teeth to make room for the dental crowns, and while this may not seem like much of a problem, it’s worth remembering that these teeth will always need to be crowned, even if you decide to go for implants sometime in the future. Partial bridges are not ideal and are often only used as a temporary solution as they have a tendency to move around, and certainly do not do anything to help your remaining teeth. Dental implants aren’t for everyone, but our dentist in Leeds can assess your situation and can let you know whether or not this is something worth considering. This entry was posted in Dental Implants on 5th May 2014 by Dr. David S Brown. Once your implant is placed, a process called osseointegration has to occur, and this is where the body begins to produce new bone cells that attach themselves to the surface of the implant post. This allows the post to fuse with the jawbone. Very occasionally an implant may fail to fuse properly with the jawbone and it could become mobile. This is something that can occur if there is insufficient bone volume or density, or if the implant is overloaded. It can also occur if the implant is suddenly damaged in some way. Our dentist in Leeds will ensure you have sufficient bone before the implant is placed, and if there’s insufficient bone and then we may recommend you have a bone graft prior to surgery. If you fail to look after your implant properly then it can become infected with a condition called peri-implantitis. This is where the gum and the bone surrounding the implant to become inflamed, and it’s actually a form of periodontal disease. It’s something that can sometimes be treated, but it can result in bone loss and ultimately the failure of the implant. It can occur quite soon after surgery, or it may be years after the implant was originally placed. People who have poor oral hygiene, those with diabetes, or people who smoke, are more at risk of developing this infection. Our surgery will give you full instructions on how to care for your implant, and regular check-ups will enable us to ensure your implant is clean and free from disease. This is something that only occurs very rarely, but can happen if the implant is placed too close to a nerve. If this happens then it can cause pain or a tingling sensation, or the area surrounding the implant may feel numb. The condition may be temporary or permanent, and it might be that the implant needs to be removed. This is something that is more likely to happen if you choose an inexperienced implant surgeon who doesn’t plan the procedure properly. This is not likely to happen at Leeds City Dentalcare, as Dr David Brown has taken a 12 month course in dental implantology. 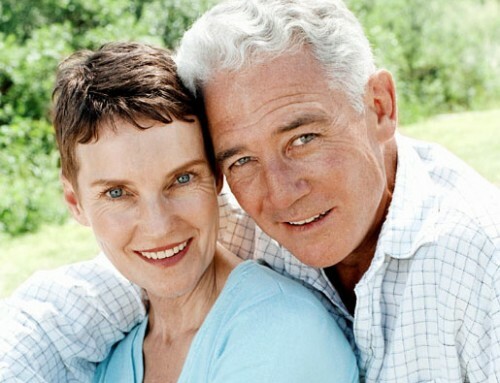 Look no further for dental implants in Leeds. These are all things that happen only very rarely, and it’s important to stress that they’re unlikely to affect you. After you’ve had your implant placed you may feel a little bit of discomfort during the first couple of days, but this feeling should quickly subside. If you do experience extreme pain that seems to be getting worse, or if the implant begins to bleed excessively then you should contact your dentist immediately. This entry was posted in Dental Implants on 11th April 2014 by Dr. David S Brown. Dental implants can be highly successful at replacing missing teeth, but this success does rely on several factors. Implant surgery needs to be properly planned so the implant post is placed in exactly the right position. Afterwards it is down to you to look after your dental implant in Leeds as it must be kept impeccably clean to avoid infection. Dr David Brown, a well-known dentist in Leeds, has completed 12 months training in the placement of dental implants and will ensure your implant surgery is meticulously planned. But before it gets to the stage he will need to give you a full assessment to make sure you’re actually suitable for this treatment. It’s imperative that you’re in good dental health, and that you don’t have any signs of gum disease or any other conditions that could affect the healing of your implant. You also need to be in good general health, as certain conditions that affect your immune system could impede the healing process. This can be a particular problem for smokers and people with diabetes. While smokers have the choice of giving up before surgery, diabetics have a slightly more complex problem. To be considered for surgery they’ll need to make sure they have their diabetes perfectly under control as otherwise it may be better to opt for an alternative method of replacing teeth. If you decide to go ahead and have dental implants, then it’s important to have regular check-ups with Dr David Brown that Leeds City Dental care, and to book regular hygiene appointments. You’ll be given lots of advice on how to care for your implant, and is especially vital to make sure the area around the abutment is kept particularly clean. The abutment is attached to the implant post and is the part of the implant that sticks up above the gum line, and which is used to support the crown. The most important parts of your implant to keep it clean are just around the gum line, and just below the gum line. You might need to modify your brushing technique slightly to make sure you reach these areas, and if you implants are supporting a bridge, you need to make sure you thoroughly clean the area underneath the replacement tooth which is called a pontic. You’ll need to make sure you floss right down to the gum line and to just below, and you may want to use a slightly thicker floss and normal. If you don’t like flossing, there are lots of different tools you can try to clean in between your teeth, and an interstitial brush is a tiny brush that fits in between your teeth, and which can be extremely good at cleaning around implants. This brush is also called an interdental brush or interproximal brush, and you’ll find they come in lots of different sizes. It’s important to choose one that’s not too small as this will minimise the effects of brushing, while choosing one that is too big could prove to be uncomfortable. Our dental hygienist will be able to give you advice on the technique for using these brushes, and for flossing, and can advise you on the correct size and shape of brushes and floss for your needs. This entry was posted in Dental Implants on 7th April 2014 by Dr. David S Brown. Dental implants are a great treatment, but some people may be put off having them due to the fact it involves surgery. In fact anybody who has had a single implant successfully placed will probably have been extremely surprised at just how easy the process is. The reality is that Dr David Brown will make sure you do not experience any pain during the surgery, and many people experienced very little discomfort afterwards. If you do feel anything once the anaesthetic wears off, then this is usually easily controlled using over-the-counter painkillers, and it should resolve itself within a couple of days. The actual process to place a dental implant is really quite quick, and it only takes around half an hour to place a single implant. In comparison the planning for implant surgery can take quite a bit longer, as you will need to have dental x-rays, and you may need to have a CT scan to ensure placement is absolutely accurate. During implant surgery Dr David Brown, or another by dentist in Leeds City Dentalcare will create a tiny hole in your jawbone, and sometimes a surgical guide will have been prepared to help accurately place the implant. It is a very technical procedure, as bone is a living organism that has to be very carefully handled. The actual implant placement may feel a little strange, but you won’t feel any pain. Afterwards the gum tissue is closed up with stitches so the area can begin to heal. Dental implants are made out of titanium, and the reason for this is because the alloy has a unique ability to be able to fuse or integrate with your jawbone, and this is particularly important. The actual post of a dental implant is constructed in a way to maximise contact with your jawbone, and this can mean it is specially treated or is roughened to increase its surface area. Once it’s in place it will be surrounded by healthy bone, and is part of the healing process your body will begin to grow new bone cells on and around the post. This part of the process is called Osseo integration, as Osseo means bone, and integration means to fuse with. Once the post has a fully integrated into your jawbone then you’ll be able to have your crown fitted. This is the final step, and you’ll need to return to Leeds City Dentalcare to have something called an abutment fitted to the titanium post. This is used to support the crown and looks a little like a short, stubby metal tooth, although you may also opt to have an abutment made out of zirconia, a tooth coloured material which is perfect if you intend to have an all ceramic crown. The abutment is completely covered with the crown so it won’t be visible. Once the abutment has been fitted then an impression is taken with it in place, and this will be used to fabricate your new crown. Implant surgery is complicated, but as the patient you’ll be fully guided through the process, and you’ll find it very straightforward and easy to deal with. Dental implant in Leeds are probably the best way of replacing missing teeth at the moment, or at least until science develops a method where we can grow an extra set of teeth. This entry was posted in Dental Implants on 13th March 2014 by Dr. David S Brown. 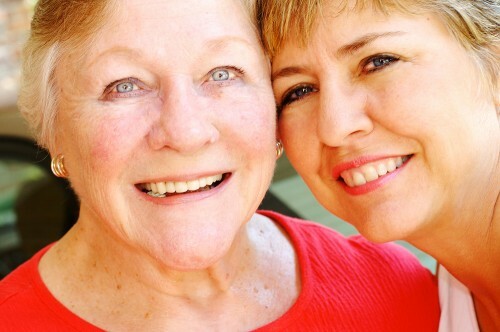 In spite of improvements in dental care, many people still wear full dentures, and many struggle with them. 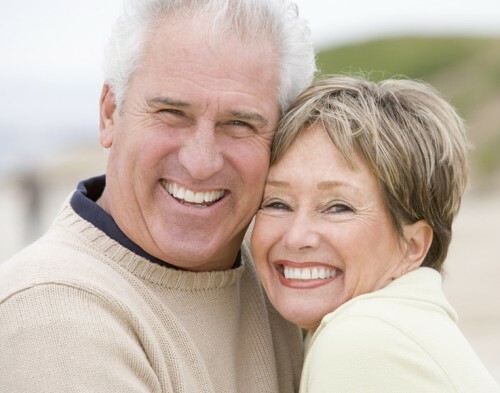 It can be easy to think problems with loose and ill-fitting dentures are inevitable, and as part of getting older, but it doesn’t have to be that way, as dental implants in Leeds can do much to help. The question of dental implants can often lead some people discounting them immediately as being too expensive or only worthwhile for younger people, when in fact this is not necessarily the truth. Many older people have already discovered the benefits of having their dentures stabilised with dental implants, and this needn’t cost a fortune. A lower denture can be held firmly in position with relatively few implants, and the improvements to a person’s quality of life can be immeasurable. Using a few well-placed implants can make this treatment relatively affordable, and even if you are getting on in years don’t you deserve to enjoy your time to the full? Age is not a barrier to successful implant placement, and provided you are in good health, and do that have any major problems, then you may well be suitable for dental implant in Leeds. Perhaps you currently hold your dentures in place with adhesives? If so then you will already know that the cost can be quite expensive, and there are some concerns over the potential effects to health when these products are used in the longer term. Most denture adhesives contain zinc, and it is all too easy to ingest at least a little bit of this ingredient, but it has been associated with certain neurological disorders. This link may yet to be fully proven, but if you find yourself using dentures adhesives day in day out, then it may be worth discussing this with Dr David Brown or another of the dentist in Leeds City Dentalcare. Even if you don’t want to have dental implants, there may be something else we can do to help you denture fit a little better. If you decide to go for dental implants, then of course you will no longer need to fiddle around with adhesives, and of course you will no longer need to spend money on denture adhesive. While dental implants re often used to replace dentures completely, through the placement of a fixed bridge, or through the use of multiple implants to replace teeth, not everyone wants to have this treatment, and not everyone is suitable for it. In this case, using dental implants to hold a lower denture securely in position can be a very good solution, and doesn’t need to break the bank. This is something that is sometimes called an overdenture, and is most commonly used to secure lower dentures. Treatment is minimally invasive while offering maximum benefits and value for money. The dental implants will help to reduce the rate of bone loss in the jaw, and can help to improve nutrition. Wearing full dentures often means having to forego many foods as they are too difficult to chew properly. This is far less of a problem with an implant supported denture, and provided of course that you choose healthy foods, you could see your general health improve. This entry was posted in Dental Implants on 20th February 2014 by Dr. David S Brown. A new review that was recently published has shown dental implants to be a cost-effective method of replacing teeth, especially as they can improve the quality of life. The review looked at studies on the cost-effectiveness of implants conducted between 2000 and 2010. A total of 14 studies on the long-term costs of dental implants were assessed in the review. The conclusions drawn are quite interesting. It found that using dental implants to replace a single missing tooth could save or was generally cost-effective in comparison with more traditional methods of replacing a single tooth, including dental bridges or partial dentures. People using implants to stabilise full dentures may pay a little more in the short term, but the general consensus was that in the long-term dental implants could be more cost effective. In particular patient willingness to pay for this technology is improving, particularly amongst elderly patients who have lost all their teeth. Leeds City Dentalcare is able to offer patients dental implants for replacing a single missing tooth, several missing teeth, or even a complete arch of teeth. Many patients with full dentures have discovered the benefits of having them stabilised with dental implants, and are often surprised at how affordable this treatment can be. Dentures can be stabilised with just a few implants so the treatment is cost-effective. Living with loose dentures can be an absolute misery, as it can limit the choice of foods, and can often make it difficult to socialise, especially in situations involving mealtimes. 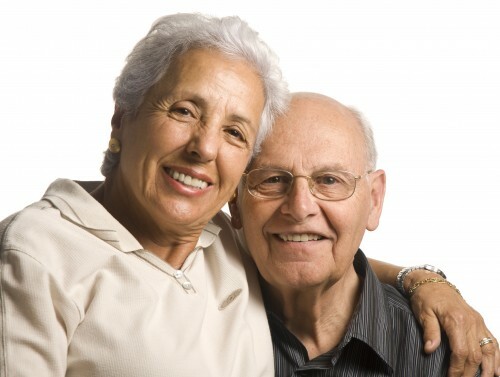 Using dental implants to stabilise dentures can lead to an increased quality of life. Patients can enjoy a greater variety of foods, and provided they choose wisely, will benefit from improved nutrition. Implant retained dentures still need to be removed every day for cleaning, and this is something that some people will want to avoid. In this case they may want to choose a fixed bridge. This is either screwed or cemented into position and will look exactly like your natural teeth. It can only be removed by dentist in Leeds but you will still need to take care to clean around it as thoroughly as possible. Proper dental care is essential, as your implants can still become infected in a condition similar to gum disease. This is called peri-implantitis, and causes the gums to become swollen and inflamed. It does require swift treatment as otherwise the condition can undermine the implants and they could become loose and will fail. This is one reason why you’re urged to visit Dr David Brown or another of our dentists at regular intervals as we will want to check your implants to make sure they are healthy and free from disease. Most people will enjoy trouble-free dental implant in Leeds and they won’t even know they are there as they will feel exactly like a natural tooth. Dental implants help to preserve the bone in the jaw and provide extremely natural results. Although the initial outlay may be a little more than alternative treatments, it can be well worth the effort in the longer term. This entry was posted in Dental Implants on 4th November 2013 by Dr. David S Brown. What are dental implants? A dental implant is essentially an artificial tooth root. Dental implants are a way of replacing a single tooth, or multiple teeth, and consist of three separate parts. Each implant has a post that is inserted into the jaw. This is attached to an abutment which sticks up above the gum line, just like a little stubby tooth. The abutment can be used to support a variety of different restorations, including a single crown, a bridge, or a denture. How long will a dental implant last? A dental implant should last for many years, or even a lifetime. However it does require care as it needs to be thoroughly cleaned each day, and you will need to see Dr David Brown at regular intervals for a check-up and professional cleaning. Is it painful to have an implant? We will make sure you receive plenty of anaesthetic during the surgical procedure to insert the post. Afterwards you may feel a bit sore, but this is usually easily managed with over-the-counter painkillers. If you have quite a few implants then you may experience a little more discomfort, but this is something we can discuss with you at the time as we will make sure it is managed. Can anyone have a dental implant? Most people will be suitable for implants, provided they are in good general health and do not have any unresolved dental problems. It is also important not to smoke, or to at least quit while preparing for implant surgery and during the healing process, as smoking does increase the risk of failure. Is there a risk that the body will reject the implant? Dental implant in Leeds are made from a titanium alloy as this is an extremely inert metal that has a high biocompatibility with the body. Dental implants can fail, but this is not likely to be due to rejection. Most failures occur due to lack of proper oral hygiene. Will I be without my teeth for very long? Once the implant is placed it will need to heal as this allows it time to integrate with your natural bone so it provides strong support to the final restoration. The exact timeframe can vary quite a bit, depending on the type of implant, and whether or not you needed to have any additional procedures beforehand such as a bone graft. We will make sure you are not left without teeth and will provide you a temporary prosthesis to wear until your permanent teeth can be placed. These are just a few of the questions we get asked, but we are sure you probably have many more. If you are interested in finding out how dental implants could work for you then it is worth booking a consultation with one of our dentist in Leeds. We will be able to assess your oral health, and can help you decide if dental implants are the best choice. This is also your chance to ask more about the actual implant procedure, and to find out which type of restoration might be right for you. This entry was posted in Dental Implants on 14th October 2013 by Dr. David S Brown.